Have you ever noticed these odd-looking critters in your garden? Did you know that they're the juvenile larvae form of the ladybird! 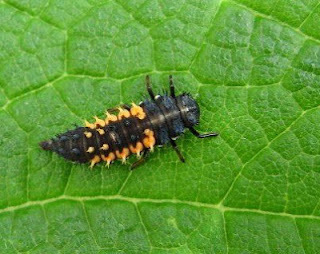 Ladybirds have a similar life-cycle to a butterfly, and these larvae can eat up to 350 aphids during the 3 weeks of their life before they become a pupa. Take care of them, and they'll take care of your garden!